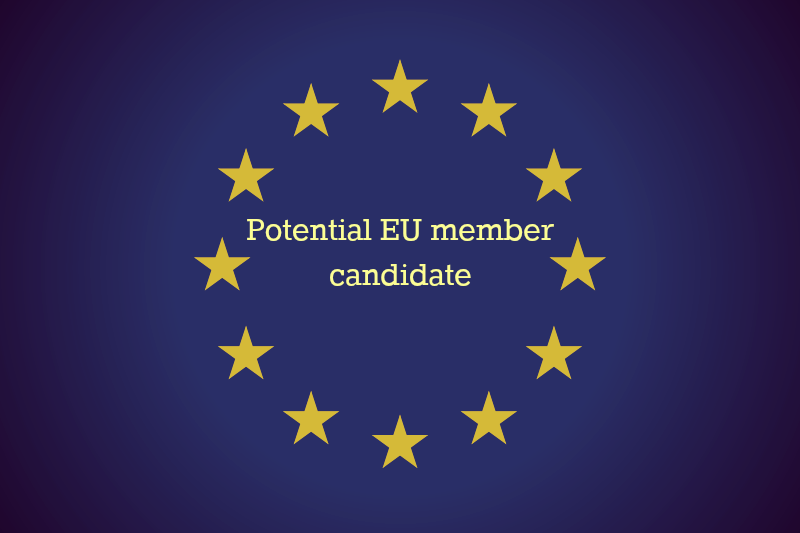 Background In 2008 the EU repeated its willingness to assist the economic and political development of Kosovo through a clear European perspective. The EU helps contribute to stability in Kosovo through the EULEX rule of law mission in Kosovo, Special representative in Kosovo and Kosovo international Civilian Office. Kosovo represents an important link between central and southern Europe and the Adriatic and Black Seas. 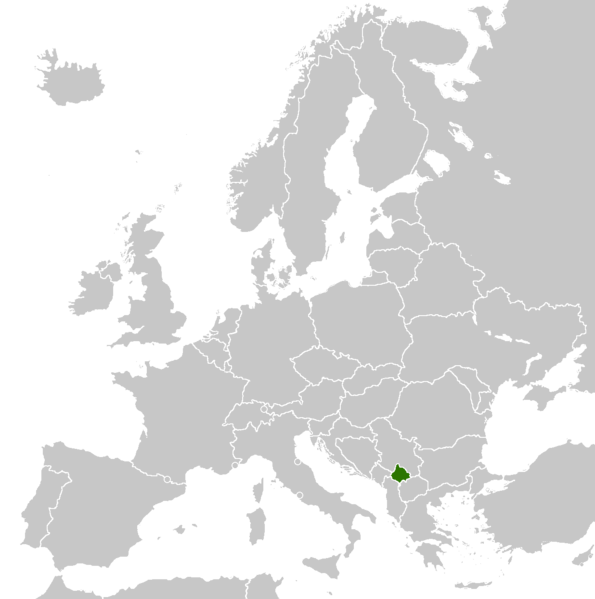 Kosovo has an area of 10,908 square km. It lies between latitudes 41° and 44° N, and longitudes 20° and 22° E. The border of Kosovo is approximately 602.09 kilometers long. The Republic of Kosovo declared independence on 17 February 2008 and over the following days, a number of states (the United States, Turkey, Albania, Austria, Croatia, Germany, Italy, France, the United Kingdom, the Republic of China (Taiwan), Australia, Poland and others) announced their recognition, despite protests by Russia and others in the UN. As of 26 June 2013, UN states recognise the independence of Kosovo and it has become a member country of the IMF and World Bank as the Republic of Kosovo. The UN Security Council remains divided on the question (as of 4 July 2008). Of the five members with veto power, US, UK, and France recognised the declaration of independence, and the People's Republic of China has expressed concern, while Russia considers it illegal. As of May 2010, no member-country of CIS, CSTO or SCO has recognised Kosovo as independent. Kosovo has not made a formal application for UN membership yet. The European Union has no official position towards Kosovo's status, but has decided to deploy the European Union Rule of Law Mission in Kosovo to ensure a continuation of international civil presence in Kosovo. As of April 2008, most of the member-countries of NATO, EU, WEU and OECD have recognised Kosovo as independent. As of 9 October 2008, all of Kosovo's immediate neighbours except Serbia have recognised the declaration of independence. Montenegro and Macedonia announced their recognition of Kosovo on 9 October 2008. Albania, Croatia, Bulgaria and Hungary have also recognised the independence of Kosovo. In November 2001, the OSCE supervised the first elections for the Kosovo Assembly. After that election, Kosovo's political parties formed an all-party unity coalition. Although in Kosovo the music is diverse, authentic Albanian music and Serbian music do still exist. Albanian music is characterised by the use of the çiftelia (an authentic Albanian instrument), mandolin, mandola and percussion. Classical music is also well known in Kosovo and has been taught at several music schools and universities (at the University of Prishtina Faculty of Arts in Pristina and the University of Priština Faculty of Arts at Kosovska Mitrovica). Wine has historically been produced in Kosovo; both red and white. Currently the wine industry is successful and growing after the war in the 1990s. The main heartland of Kosovo's wine industry is in Orahovac where millions of litres of wine is produced. The main wines produced in Kosovo include Pinot noir, Merlot and Chardonnay. Kosovo has recently been exporting wines to Germany and the United States.